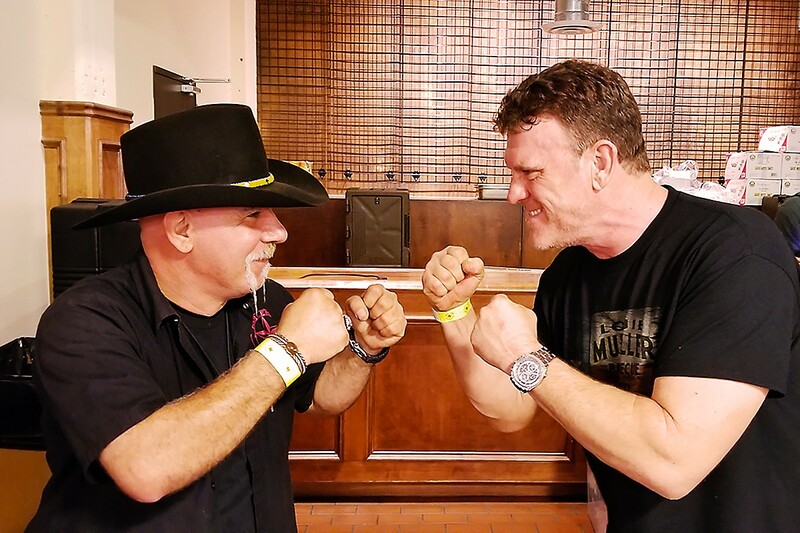 Harlem Road Texas BBQ's Ara Malekian (left) and Wayne Mueller of Louie Mueller Barbecue (right) are among the pitmasters fighting for the right to be called the Sausage King at the inaugural Sausage Wars competition in Houston. Photo by Nick Rama. Updated, April 5, 9:45 a.m.: According to event organizer Nick Rama, this is now sold out. Housemade sausages from The Pit Room. Photo by Scott Sandlin. Tickets for Sausage Wars are on sale now for a modest $25. (It’s $35 for a ticket that allows for admission at 5 p.m., an hour early. Only 23 of those are still available at press time). All ticket holders get sausage samples from the competitors, two beers and a chance to vote for the people’s choice award. Those with early entry tickets also receive a Sausage Wars sticker and a chance to try a new offering from Texas Pickle Company: the Whiskey Half Sour brined with Texas whiskey and post oak-smoked peppercorns. Tickets for kids aged five to 12 are $20. The participating barbecue restaurants include some of Texas Monthly’s top-rated ones in the state, including Louie Mueller Barbecue (number five on the list and coming in from Taylor, Texas), Tejas Chocolate & Barbecue in Tomball (number six) and The Pit Room (also in the Texas Monthly top 50). 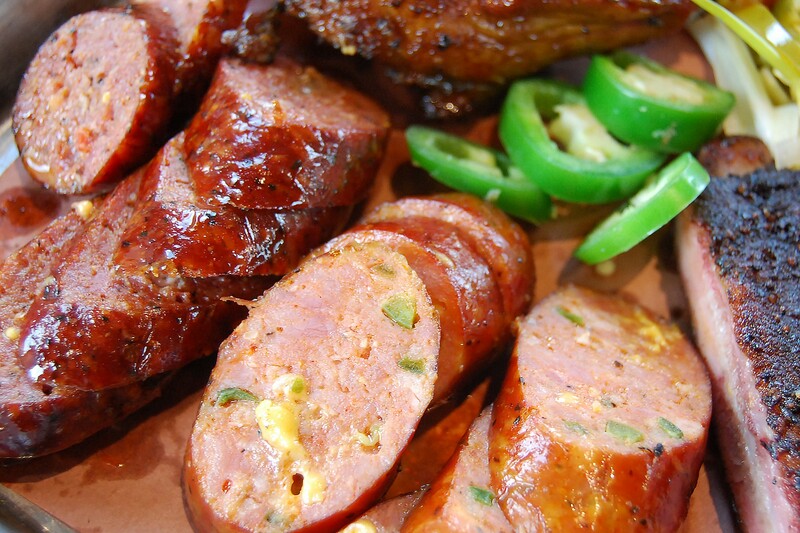 Another competitor coming to Houston from out of town is Brotherton’s Black Iron Barbecue from Pflugerville. Competing favorites in or relatively close to Houston include Buck’s BBQ, Harlem Road Texas Barbecue in Richmond, Reveille Barbecue Co. in Magnolia, Tin Roof in Humble, SpindleTap Brewery’s onsite pizza place, Texzas, Southern Q BBQ and Smokin’ Z’s BBQ in Hitchcock. 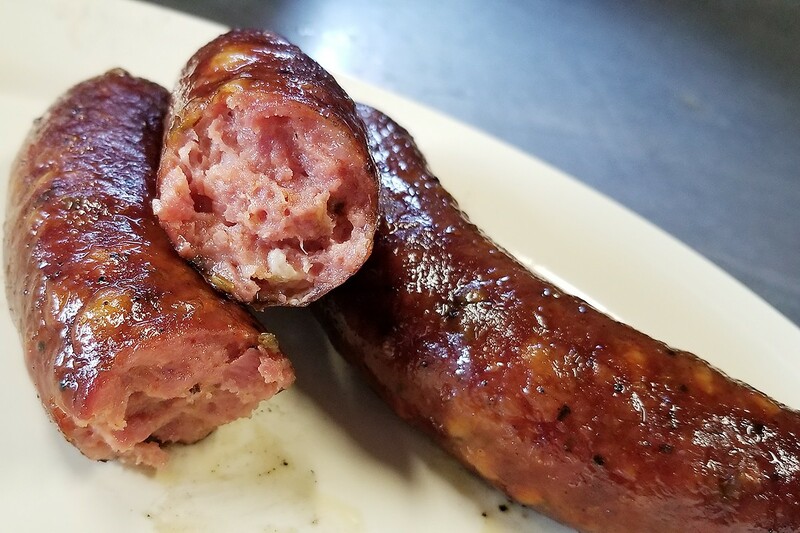 Tin Roof’s Jalapeno Pepperjack sausage. Photo by Nick Rama. Each competitor’s sausage offering is being blind-judged by a panel that includes Phaedra Cook, editor and publisher of Houston Food Finder (yours truly), Hank Lewis of the blog Hank On Food (also a Houston Food Finder contributor), Leo Longoria of SpindleTap Brewery and the Texas Beer Experience and Shane McAuliffe of The Texas Bucket List. Nick Rama of the popular Facebook group Nick’s Local Eats (who also recently started another group about local barbecue, burgers and beer) says he and Bryan Norton of the Tales From The Pits podcast came up with the idea. Rama credits the name to barbecue fan Hirotishi Mugen, who Rama believes coined the hashtag #sausagewars when visiting barbecue joints. Live entertainment is by Buck Yeager, a two-time Country Music Association of Texas winner who, in 2015, received Male Artist Of The Year and Song of the Year in 2018. Several other vendors plan to be at the competition, including Bundt Cake-A-Holic, Trinity Rub & Sauce Co., Segura Cigars and Otto’s Sodas. Rama says that Vidal Jackson is also selling a limited edition cake made with SpindleTap Brewery beer. Visit the Sausage Wars Facebook page for the most up-to-date information on participating barbecue restaurants and the ticket purchase link.